Sulphite content testing with an express test - simple and precise. This test is used to measure the excessive amount of sodium sulphite which is used bond oxygen in incoming water in boilers. 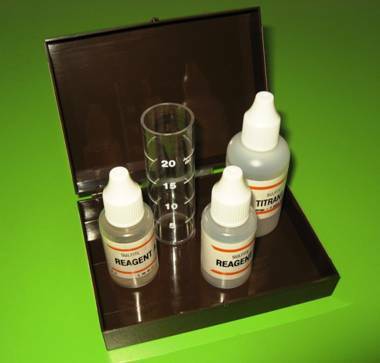 Fill the test tube with 5 ml of test water and add 2 drops of Reagent A and Mix. Add 2 drops of Reagent B and mix. Add drop by drop indicator Titrant and mix after every drop until the test water turns blue. Count the amount of drops. Check from the label on Titrant bottle the sulphite content amount from the number of drops.